Vintage 99 the Wine Label Specialist since 1999! No one understands the critical importance of the wine label more than the dedicated staff of Vintage 99 Label. For us, producing a wine label is still a unique craft just like the process of winemaking itself. For over 15 years the most skilled wineries in the industry have trusted Vintage 99 to tell their story and deliver the quality, service and value that an exceptional wine deserves. Call 925-294-5270 for a non-obligation consultation and quote of your label project. Introducting iQ-dio - Interactive Wine Labels from Vintage 99 Label Engage and Convert Buyers with audio from the winemaker, tasting notes, pairing suggestions, videos, photos, coupons, contests, social media & more! Textured Gloss UV Varnish ads dimension and depth to your label. Come take a tour of Vintage 99 Label Mfg! Started in 1999, Vintage 99 Label Manufacturing is one of the few remaining family-owned and operated label printers serving the wine industry. We are thrilled to be celebrating 20 years of printing high quality wine labels and providing superb customer service. In that time, we have produced well over One Billion wine labels! Whether a boutique, start up winery or an established, multi-million case winery, we are excited to keep that counter going for the next 20 years and beyond. Our employees and our customers are the foundation behind our success. Every employee is empowered to improve what we do to exceed our customer’s expectations. Our customers continually bring us challenging projects because they know the Vintage 99 team will execute the label project to their complete satisfaction. In the last year, we have added to our already strong wine label team by bringing on 2 veterans with over 50 years of serving the wine label market. With this addition, we believe we have a team in place that will serve the wine industry well. Have been wracking their brains out to figure out a way to engage more with their consumers. Maybe you and your winery are having similar issues. Perhaps there’s another issue that our team can help you with. Invite one of our Account Managers for a consultation by contacting us at info@vintage99.com or call 877-339-8899. Stop by the Vintage 99 Label booth at the Unified Wine & Grape Symposium to learn about all things new in labels. On display will be the newest paper options, a wide range of printing and finishing methods, and the iQ-dio interactive label system now with NFC. Discuss your next label project with one of our label experts or get label design assistance from our in-house design department. We look forward to helping you make your wine look its best! Your Wine Label Expert for over 18 years. The most skilled wineries in the industry have trusted Vintage 99 for quality wine labels and superb customer service. Vintage 99 offers unmatched leadtimes of 15 days, the latest print technology with high impact finishing options, and professional wine label design and branding. Two locations: Livermore and Santa Rosa, CA. Call 925-294-5270 for a non-obligation consultation and quote of your label project. Be sure to stop by Vintage 99 Label's booth next week at the 7th annual North Coast Wine Industry Expo on Thursday Dec 6th to learn about all things new in labels. On display will be examples of Digital, Offset and Flexographic label printing, a wide range of paper and finishing options, and the iQ-dio interactive label system. Discuss your next label project with one of our label experts or get label design assistance from our in-house wine label designer. We look forward to helping you make your wine look its best! 1. More are Mobile: Mobile usage has now exceeded traditional website usage worldwide. As consumer traffic to standard winery websites decreases each year, not having a mobile friendly site means that more buyers will be left without an easy way to access more information on their mobile device. 2. Mobile is Used While Shopping: 50% of U.S. mobile phone owners use their devices to shop online or to assist while shopping in stores, finds a new report from Arc Worldwide. Millennials in particular go to their phones when they are shopping for wine and don't know which wine to buy. Having your wine supported by an easy to navigate mobile website ensures that you won't be losing this buyer when it counts the most, in the wine isle! 3. There's a Big Difference: A standard winery website when viewed on a cell phone will be difficult to use and navigate. By using a dynamic mobile landing page for each of your varietals, you give buyers a less frustrating and media rich way to tell them why your wine is different and worth the purchase. 4. Analytics: By moving each wine brand and varietal to its own mobile landing page, brand managers can gain valuable insight into where and when their wines are being evaluated for purchase and make informed marketing decisions. 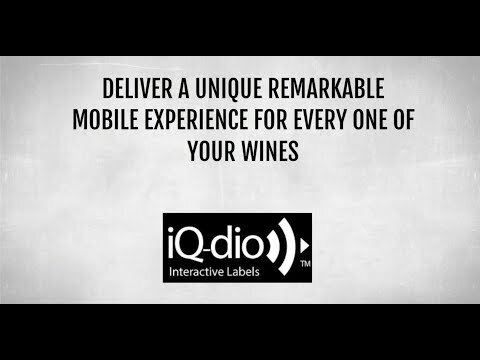 Visit www.iqdio.com to learn more about how easy it can be to make your wine labels work smarter to engage more shoppers and sell more wine. 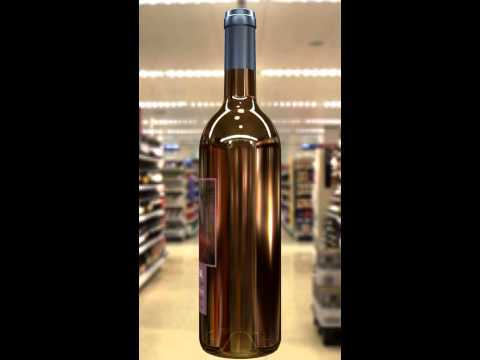 With iQdio TM enabled on the back of a wine bottle, shoppers instantly learn more about the wine they are evaluating by using their smart phone which becomes an extension of the label on the back of the bottle. Wine producers can deliver important information and multimedia content to their customers quickly and best of all, change it anytime they wish. The system also gives brand managers their own online dashboard that tracks every time someone scans the label and shows the location, providing real-time feedback and marketing analytics, something standard QR codes and Augmented Reality gimmicks are not able to do. These are just of few of the benefits of the new OPT Wine Label Program by Vintage 99 Label. OPT stands for Order, Print & Transfer and completely changes the way wineries are ordering and managing their labels. With OPT, orders are planned and artwork is proofed only once or twice per year while labels are printed, stored and managed by Vintage 99. Wineries of the program simply request the labels they need and receive delivery within 2 days while seeing up to a 40% label cost reduction compared to the standard order by order method. Learn more by contacting one of our label experts at www.vintage99.com or call 925-294-5270. Dan Hughes Joins Vintage 99 Label Mfg. Vintage 99 Label is pleased to announce the addition of Dan Hughes as Regional Account Manager. Dan brings over 25 years of experience in helping wineries of all sizes. Having been educated in the printing industry since he was 14, Dan is passionate about printing and packaging and supports the expanding growth of Vintage 99’s services in the Santa Rosa and Northern California area. Dan’s focus will be in helping small start-up wineries that are looking to launch their first label as well as assisting established wineries looking for a makeover and/or improvements to quality. Dan’s expertise includes rotary offset, flexographic, and digital label printing. Dan can contacted at 707-694-0142 or danh@vintage99.com to discuss your next label challenge or project. After five and half successful years as sales and marketing director of Vintage 99 Label Mfg., Inc. the company is pleased to announce the promotion of Brian Lloyd as Vice President of Sales and Marketing. Mr. Lloyd will assume complete responsibility of Vintage 99’s business development and marketing strategy. Mr. Lloyd joined Vintage 99 Label Mfg., Inc. in 2008 in customer service and in four short years he was promoted to sales and marketing director. He brings with him fifteen years of printing experience specific to the wine and beverage industry. He is knowledgeable in nearly all areas of print from production and customer service to sales and marketing. He has developed game changing sales and marketing strategies such as IQdio, an interactive label with real time analytics and OPT (Order, Print, Transfer), an efficient and cost savings label order process that eliminates lead times. Across the golden state Brian Lloyd is recognized by his customers as offering top notch service with integrity and poise. He works diligently to ensure all clients receive the highest quality products achievable. “Brian has demonstrated his passion for our industry and our clients with unsurpassed commitments to service. I am proud of his achievements and to announce that the has become part of our key senior management team” says President Kathleen Gonzales. Vintage 99 Label specializes in high quality wine label production and design using Digital, Flexo and Waterless Offset printing technologies. Printing facilities include Livermore and Santa Rosa California. Learn more or contact one of our label experts at www.vintage99.com or call 925-294-5270. As wine label producers for over 18 years, we are asked daily by our clients what they should do to improve their labels - to help their brand stand out from the crowd and ultimately sell more wine. Many of the wineries for whom we produce labels have realized that attractive labels have maximized their impact and are well worth the time and investment. 1. Invest in a textured paper and the best possible printing method. From our experience, high quality printing on uniquely textured uncoated paper adds the most impact. Printing on this type of paper is challenging and requires high quality and skilled craftspersons. Our Waterless Offset, High Definition Flexcel NX flexographic or Digital Offset printing methods are the best ways to ensure graphics and text are sharp and in tight registration on textured papers. 2. Foil and emboss in the right areas! Most wine labels include a range of decorative elements like foil, emboss, spot gloss varnish, and high build varnish but far too many of these do not maximize the impact of these elements. It is best to use a combination of decorative elements to draw the buyers eye to the artwork and logo to make them want to pick up and feel the label. Once they have the bottle in their hands it is nearly in their cart. We can help you create or improve your label design by using decorative elements for the most impact. 3. Link the label to online content. A physical label can only do so much to attract the buyer’s attention. We were amazed to learn that nearly 60% of wineries do not have a mobile website nor have specific online content for each wine. Due to the limited amount of space to tell buyers about your wine, it makes sense to use technology to bridge this gap and provide more content so that shoppers can learn about the wine on their smartphones. Mobile landing pages for each of your wines gives shoppers better and more targeted information that static QR codes that link to a website. Our iQ-dio interactive label system delivers messages from the winemaker, tasting notes, videos, coupons, social media links and direct buying options all while tracking customer usage. Check out www.iqdio.com for more about linking to online content. Be sure to stop by Vintage 99 Label's booth #329 next week at the WiVi Central Coast Tradeshow in Paso Robles to learn about all things new in labels. On display will be amazing new paper options, a wide range of printing and finishing methods, and the iQ-dio interactive label system. Discuss your next label project with one of our label experts or get label design assistance from our in-house design department. We look forward to helping you make your wine look its best! Reduced Label Costs, Labels in 2 Days, No Setup Costs, & No Inventory are just of few of the benefits of the new OPT Wine Label Program just announced by Vintage 99 Label. OPT stands for Order, Print & Transfer and dramatically improves the way wineries are ordering and managing their labels. With OPT, orders are planned and artwork is proofed only once or twice per year while labels are printed, stored and managed by Vintage 99. Wineries of the program simply request the labels they need and receive delivery within 2 days while seeing up to a 40% label cost reduction compared to the standard order by order method. Visit the Vintage 99 team at Unified on Jan 24th and 25th in booth #201 to learn more about the new OPT Label Program and how your winery can benefit. Wine Country Strong, a not-for-profit organization based in Santa Rosa CA, has partnered with Vintage 99 Label along with Avery Dennison, Wausau Coated and Wilson Mfg to raise $100,000 by the end of the year through the sale of "Wine Country Strong" window decals. The decals are $6 each with 100% of the proceeds going directly to 4 non-profit relief agencies working in the Napa, Sonoma, Santa Rosa, Lake County, and Mendocino Counties. The decals are designed to show support for the victims and first responders while raising funds to help those effected by the catastrophic fires. Vintage 99 Label donated their design and printing services for the decals while Avery Dennision, Wausau Coated and Wilson Mfg donated the printing supplies. "This is just our way to give back to an industry that has been our livelihood for over 17 years" said Kathy Gonzales, President of Vintage 99. "Our clients, friends, and our own employees in Santa Rosa have been effected deeply by the fires and need our help to be whole again." Vintage 99 Label has a label printing production facility in Santa Rosa that was shut down for week because of nearby fires and concern for their employees. The new decals are available for a $6 donation now at www.winecountrystrong.org along with more information about the fund raising effort. Wine Country Strong, a not-for-profit organization based in Santa Rosa CA, has partnered with Vintage 99 Label along with Avery Dennison and Wilson Mfg to raise $100,000 by the end of the year through the sale of "Wine Country Strong" window decals. The decals are $6 each with 100% of the proceeds going directly to relief efforts in the Napa, Sonoma, Santa Rosa, Lake County, and Mendocino Counties. The decals are designed to show support for the victims and first responders while raising funds to help those effected by the catastrophic fires. Vintage 99 Label donated their design and printing services for the decals while Avery Dennision and Wilson Mfg donated the printing supplies. Vintage 99 Label of Livermore & Santa Rosa, Ca received an award for outstanding achievement in Wine Label Design at the annual 2017 Showcase Awards. The Showcase Awards is a visual media competition covering Northern California and Northern Nevada, hosted by the Visual Media Alliance in San Francisco. Competing against nearly 150 entries from printing, design, ad agencies and graphic art firms Vintage 99 Label received the Grand Award. The company’s winning submission was The Rock for Vinifera Wine Company. Expert design advice to maximize the impact of your current or upcoming label. Paper recommendations based on the newest trends and stocks available. Advice on the best use of foil stamping, embossing, selective varnishes and textures. A free wine label paper selection guide to take home with you for reference. As wine label producers for over 18 years, we are asked everyday by our clients what they should do to improve their labels - to help their brand stand out from the crowd and ultimately sell more wine. Many of the wineries for whom we produce labels have realized that attractive labels have maximized their impact and are well worth the time and investment. Expert design advise to maximize the impact of your current or upcoming label. Advise on the best use of foil stamping, embossing, selective varnishes and textures. Additional Unified discount options include up to $500 credit on a Creative Design Package or $150 credit on a Refresh Design Package. Restrictions apply, see offer details in booth #201. If your current wine label design is in need of a refresh or you're just getting started with a new label, you won't want to miss out on an exclusive offer for our Wines & Vines Packaging Conference guests. Sign up now for your free one-on-one design session on August 17th with award winning label designer Samantha Gomez. $50 off the addmission cost to the Packaging Conference on August 17th from 9:30am-3:30pm in Yountville, Ca. Just go wvpack.com, select "Full Day Sessions" and enter promo code "Pack16S" to get the discounted rate, compliments of Vintage 99 Label. Label design ideas and feedback to maximize impact with your target buyers. Paper recommendations to refresh your design with the latest paper and stocks. Printed label samples of other wine label designs for inspiration. Unique ideas to help your bottle stand out using foil stamping, embossing, selective varnishes and textures. A free label paper selection guide. Design notes of your session to take with you for reference. Vintage 99 Label of Livermore, CA received an award for outstanding achievement in Digital Label Printing at the annual 2016 Showcase Awards. The Showcase Awards is a visual media competition covering Northern California and Northern Nevada, hosted by the Visual Media Alliance in San Francisco. Competing against nearly 150 entries from printing, design, ad agencies and graphic art firms Vintage 99 Label received a Grand Award. The company’s winning submission was an intricately produced wine label for Herzog Wine Cellars which was digitally printed and included hot foil stamping, multi-level embossing and high build varnish effects. As wine label producers for over 16 years, nearly every day we are asked by our clients what they should do to improve their labels - to help their brand stand out from the crowd and ultimately sell more wine. Many of the wineries for whom we produce labels have realized that attractive labels have maximized their impact and are well worth the time and investment. 3. Link the label to online content. A physical label can only do so much to attract the buyer’s attention. We were amazed to learn that nearly 60% of wineries do not have a mobile website nor have specific online content for each wine. Due to the limited amount of space to tell buyers about your wine, it makes sense to use online technology to bridge this gap and provide more content so that shoppers can learn about the wine on their smartphones. Mobile landing pages for each of your wines gives shoppers better and more targeted information that static QR codes that link to a website. Our iQ-dio interactive label system delivers messages from the winemaker, tasting notes, videos, coupons, social media links and direct buying options all while tracking customer usage. Check out www.iqdio.com for more about linking to online content. To learn about these and additional label options, contact one of our label experts at 925-294-5270, www.vintage99.com. We look forward to becoming Your Wine Label Expert. Vintage 99 Label has expanded its digital press lineup again by adding the new HP Indigo WS6800 Digital Label Press. This technically advanced press allows for faster turnaround time while increasing the ability to match and hold precise colors with an inline spectrophotometer and closed loop color control system. The HP Indigo WS6800 is the latest narrow-web printing solution for high-volume wine labels and has been adopted by the world's leading brands to deliver consistent results without the need for long press setups or printing plates. Today’s wine shopper can have at their fingertips a mobile research library to inform the pick of one bottle from the store shelf over another, and Vintage 99 Label Mfg has developed a tool for giving interactive labeling an upgrade. The wine-focused label printer this year released the iQ-dio interactive label feature (iqdio.com), which gives to consumers quick access wine information and to vintners real-time feedback and marketing analytics. When the QR code is photographed on a device app that supports them, the consumer is directed to tasting notes, food-pairing suggestions, videos and audio messages from the winemaker, other wines to explore. 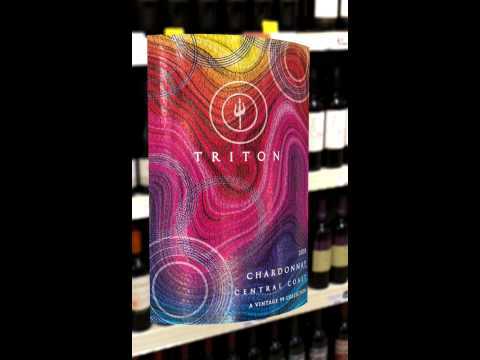 Shoppers can hear the winemaker talk about the wine, get recipe suggestions, view other varietals of the brand, join the wine club and use discount coupons. QR and other codes allowing easy entry of website links have been around for several years. The key to the iQ-dio system is a mobile website landing page for each brand and varietal of wine, and brand managers can find out about visitors to each page. The consumer doesn’t have to download a winery app or navigate through a corporate website. Kathleen Gonzales, president of Vintage 99 Label, talked with the North Bay Business Journal about the expansion of Vintage 99 to Santa Rosa, wine industry growth and launches of the iQ-dio label system. "The development of iQ-dio has also changed our customers’ perception of us from being strictly a wine label printer to a partner that can help them market and sell their wines more effectively. The development, release and feedback of iQ-dio this year has been tremendous. Through our development of iQ-dio we have learned that our winery customers are looking for more than wine label printing. They are struggling to attract and market their wines to younger buyers and need new ways to change or update content about their wine without having to redo their labels each time." In the future, Vintage 99 Label will continue to specialize in wine labels but will move the label from being a printed piece only to a dynamic part of a wineries brand and marketing through use of online connectivity including near field communication technologies. Is your current wine label design in need of a refresh or are you're just getting started with a new label? If so you won't want to miss out on an exclusive offer for our WiVi Central Coast guests. Sign up now for your free one-on-one design session on March 16th with our award winning label designer Samantha Gomez. - Free admission to the WiVi Tradeshow on March 16 from 9am-4pm in Paso Robles, Ca. - Expert Design advice and feedback to maximize impact with your target buyers. - Paper recommendations to refresh your design with the latest paper and stocks. - Fresh ideas to help your bottle stand out using foil stamping, embossing, selective varnishes and textures. - A free label paper selection guide. - Design notes of your session to take with you for reference. - A discount coupon for label printing services and to complete your new design. Register for your session now via Eventbrite or email info@vintage99.com for more info. See you there! If your current wine label design is in need of a refresh or you're just getting started with a new label, you won't want to miss out on an exclusive offer for our WiVi Central Coast guests. Sign up now for your free one-on-one design session on March 16th with our award winning label designer Samantha Gomez. - Design advice and feedback to maximize impact with your target buyers. Be sure to stop by Vintage 99 Label's booth this Wed & Thursday at the Unified Wine & Grape Symposium to learn about all things new in labels. On display will be new paper options to choose from, a wide range of printing and finishing methods, and the amazing iQ-dio interactive label system. Discuss your next label project with one of our label experts on the spot or get label design assistance from our in-house design department. We look forward to helping you make your wine look its best! Vintage 99 Label specializes in high quality wine label production with facilities in Livermore, Napa and Santa Rosa Ca. Capabilities include in-house design services, Flexographic, Digital and Waterless Offset printing, short lead-times, interactive label technologies, and unmatched customer service. Be sure to stop by Vintage 99 Label's booth next week at the Unified Wine & Grape Symposium to learn about all things new in labels. On display will be amazing new paper options, a wide range of printing and finishing methods, and the iQ-dio interactive label system. Discuss your next label project with one of our label experts or get label design assistance from our in-house design department. We look forward to helping you make your wine look its best! To learn about these and additional label options, contact one of our label experts at 925-294-5270, www.vintage99.com, or stop by Booth 201 at the Unified Wine and Grape Symposium on Jan 27th and 28th. We look forward to becoming Your Wine Label Expert. The iQ-dio Interactive Label System from Vintage 99 Label has won the Wine Industry Network’s WINnovation Award. iQ-dio is the first product of its kind to allow wineries and winemakers to deliver online content about their wines to shoppers in an easy to use system that works with the wine label on the bottle to track customer usage and allows for realtime updates through the online dashboard. Vintage 99 Label began development of the new system over a year ago and response from the wine industry has been tremendous. Join us for the 2015 North Coast Wine Industry Expo being held on December 3rd at the Sonoma County Fairgrounds in Santa Rosa. This annual event is the best way to see all that's new in our industry in one day and without having to travel. Grab your free tickets and be sure to stop by and visit our label team at booth #132 to see our new product line of textured varnishes and specialty debossing effects that create new visual impact for any wine label. Also featured will be the amazing iQ-dio interactive label system. Just go to www.wineindustryexpo.com/registration and enter promo code VIN132 to get your free admission tickets on us. We will see you there! Be our paid guest and join us for the 2015 North Coast Wine Industry Expo being held on December 3rd at the Sonoma County Fairgrounds in Santa Rosa. This annual event is the best way to see all that's new in our industry in one day and without having to travel. Grab your free tickets and be sure to stop by and visit our label team at booth #132 to see our new product line of textured varnishes and specialty debossing effects that create new visual impact for any wine label. Also featured will be the amazing iQ-dio interactive label system. Vintage 99 Label MFG of Livermore and Santa Rosa, Ca has expanded its product offering from printed labels to now include interactive, mobile-based wine labels. The new interactive wine labels are called iQdio TMand are the first of its kind to allow wine shoppers and buyers to quickly have access to tasting notes, food pairing suggestions, videos and audio messages from the winemaker, view other varietals, and more, all from any mobile device without having to download an app or navigate through a corporate website. With iQdio TM enabled on the back of a wine bottle, shoppers can now instantly learn more about the wine they are evaluating by using their smart phone which becomes an extension of the label on the back of the bottle. With the new system, wine producers are able to deliver important information and multimedia content to their customers quickly and best of all, change it anytime they wish. The system also gives brand managers their own online dashboard that tracks every time someone scans the label and shows the location, providing real-time feedback and marketing analytics, something that standard QR codes are not able to do. The heart of the iQdio TM system is a mobile landing page for each brand and varietal of wine that quickly delivers only the notes and content that pertains to that exact varietal. Shoppers scan and get only the information needed to help understand the differences of the wine rather than having to navigate a main website on their phone or peel off a special booklet label with tiny printing on it. With iQdio TM shoppers can hear the winemaker talk about the wine, get recipe suggestions, view other varietals of the brand, join the wine club, use discount coupons and more. The entire experience for the wine shopper feels like an app that was made just for the wine they are holding. "We've been hearing from our wine label customers for years that there needs to be a better way to get more information to buyers about their wine", says Kathleen Gonzales, President of Vintage 99 Label. As a wine label printer we wanted to help them sell their wines more effectively but nothing existed on the market to solve the problem of content delivery besides the wine label itself. QR codes have been used for years in the wine label industry but typically direct shoppers to a standard website. We developed iQdio TM with both the shopper and brand manager in mind, shoppers get dynamic content about the wine they are evaluating and brand managers can change the content quickly and easily without reprinting labels. Best of all they can track each time someone scans their label and see which stores net the most interest from shoppers." says Gonzales. With more studies showing a growing trend for younger wine drinkers known as "millennials" using their smartphones to make decisions while shopping, Vintage 99 Label hopes to bridge the gap between traditional wine labels and the next generation of wine drinkers that are comfortable with using technology to learn more about wine and make a more informed purchase. How can technology help you communicate and reach wine buyers with your wine label? By now, we all know that carefully crafted wine labels attract potential buyers. Once they've picked up your bottle and turn to the back label traditional wine labels are limited in size and include a quick summary of your wine. The big question is: Have you given your potential customer enough information and intrigued them to buy your wine vs. your competitors? Could the customer benefit with more information and interactive content about this varietal of your wine? Do customer's desire more information? Do you need to determine how to communicate with the next generation of wine buyers? The answer to each of these questions is hopefully "Yes". iQ-dio Interactive Labels can help you in these areas! "wine consumers that consider themselves wine connoisseurs or experts, enjoy talking about wine, and are interested in wine that is produced locally, organically or sustainably are more likely to employ technology in their wine purchase decision." In other words, customer's who are engaged in the buying process with your wine many times need the interactive information-based approach that you likely would take with them if you had them in your tasting room. But, what if they're searching in their local c-store or grocery store and come across your wine? Or what if your wine was a gift? What if you're looking to increase your wine club membership? Introducting iQ-dio - Interactive Wine Labels from Vintage 99 Label. These interactive labels create a new experience in content marketing for the end customer where they can get all the applicable information on your wine (varietal specific) at their fingertips, on their smartphone right away. iQ-Dio helps you to Convert Buyers! Are your wine labels interactive? Come check out Qdio Interactive Wine Labels at WiVi Booth #614 and enter to win a FREE iPad Mini ! With competition in the retail wine environment at an all time high, winemakers and wine marketers more than ever need to find new ways to engage shoppers. Traditional wine labels are limited by size and their ability to tell a rich and compelling story about the brand. And when a marketing message must be changed, new labels must be reprinted and applied. Your brand's winemaker describing the wine in their own voice. The option of reading tasting notes, wine profiles and awards. Videos, Coupons, Contests, Social Media and more on any mobile device without downloading apps! Haven't registered yet for WiVi? Visit the show on us, enter discount code# GUEST15 at www.WiViCentralCoast.com. Visit the knowledgable staff of Vintage 99 Label in booth #614 to learn more about Qdio and our unique wine label printing capabilities including Waterless Offset, Digital and Flexographic printing with two facilities in Livermore and Santa Rosa, CA. After a successful year as Director of Northern California Operations of V99 North, Vintage 99 Label Mfg., Inc. is pleased to announce the appointment of Gary Cane as Vice President of Northern Californian Operations. Mr. Cane will assume complete responsibility of Vintage 99’s Santa Rosa location and will assist Vintage 99 Label Mfg., Inc. President, Kathleen Gonzales, in continuing their journey on the road to growth in their new home of Sonoma County. Mr. Cane brings with him forty years of printing experience; where he has worn many hats in the industry from Press Operator to General Manager. His accomplishments in Santa Rosa have enabled the Livermore-based company to fulfill their long-time goal of cultivating their roots in one of the world’s most notable wine growing regions. Within his year and a half employment with Vintage 99, Gary has not only been an asset to ensuring the plant’s efficiency in manufacturing a high quality product, but has also solidified relationships with numerous new clients while substantially increasing the company’s total earning capacity. “He is one of the greatest assets Vintage 99 has had the honor of acquiring and is undoubtedly a most commanding fixture in assuring that our goals are not only met but surpassed”, says President Kathleen Gonzales. Few in the wine industry can deny the importance of a well-designed wine label and its ability to push wine sales to a target market. Just as important as the success of the label and brand in which it carries, are the ties cultivated between winery and label printer through years of jointly maneuvering bottling schedules. But what happens if labels get printed off color, a label copy is wrong, or worse …labels are late and cannot be applied before the bottling date? These pressure-filled puzzles would be impossible to piece together without the relationship and trust that exists between client and supplier which in turn, is vital to a wine brand’s success. In turn, Vintage 99 Label was able to grow their business in 2013 by building a second printing plant in the heart of Santa Rosa wine country to better meet the local needs of wineries like Martin Ray. “It’s a great win-win relationship” according to Gary Cane, Director of Operations at the Santa Rosa plant. “As we focus on long term partnerships and doing what it takes to help wineries grow through consistent service and quality, we grow our business and can help more local wineries do the same”. The new plant took delivery of a new digital printing press at the end of the year to help keep pace with customer demand in the area and is already planning for more growth. Vintage 99 Label of Santa Rosa is located at 3663 Regional Parkway and specializes in Digital and Waterless Offset label printing. Call 707-978-3007 or email info@vintage99.com to reach one of their label experts. Be sure to stop by our booth #37 next Wed the 20th at the Wines & Vines Packaging Conference in Napa. We are offereing a special discount just for this event: no dies or plate costs with a new order! Just stop by booth #37 to learn more and discuss your label project. While you're there learn about all of the exciting new things we have to offer our customers this year such as a New Production facility in Santa Rosa CA, In-House Label Design, a New Xeikon Digital Label Press, High Speed Defect Detection, plus lots more........we are making our 15th year bigger than ever just for you. With Harvest sneaking up quicker this year for most wineries, many label buyers and designers are starting to get nervous about getting their label orders sorted out and placed before the big industry rush hits. While there is no time like the present, the team of label experts at Vintage 99 Label is prepared and ready to meet your toughest label demands through its expanded operations in Santa Rosa, Ca. From our in-house design department to our multi printing press options, rest assured that we've got your back with leadtimes as short as 12 days! In keeping with the goal of giving Northern Ca Wineries more wine label printing options, Vintage 99 Label of Santa Rosa has now added the new Xeikon 3300 Digital press to their local printing plant. The digital press pushes the boundaries of printing to higher line screens comparable to high quality offset printing but with short run size abilities. The Xeikon press can also accommodate the longer run sizes as well that most digital presses cannot. "By adding Xeikon digital printing into V99 North it will allow us to cover 3 conventional print processes Offset, Flexo and Digital with two presses" says Gary Cane, Director of Northern Ca Operations. The Xeikon can print on virtually any stock without the special pre-treating methods that in the past added extra time and cost to digital print jobs. The ink (toner) also offers more vibrate colors than its competitors, and is environmentally friendly and FDA approved. Call 707-888-5271 for more information or to schedule an in person tour of the new press and facility. Be sure to stop by our booth #A65 this Thursday at the Wine and Viticulture Symposium and Tradeshow. We're celebrating our 15th year anniversary (Feb 1st 1999 – Feb 1st 2014) with a 15% discount off any new label quote or order through 3/31. Stop by Booth #A65 for more info. While you're there learn about all of the exciting new things we have to offer our customers this year such as a New Production Plant in Santa Rosa CA, In-House Label Design, a New Xeikon Digital Label Press, High Speed Defect Detection, plus lots more........we are making our 15th year bigger than ever just for you! Be sure to stop by our booth #201 this Wed or Thursday at the Unified Wine & Grape Symposium in Sacramento. We're celebrating our 15th year anniversary (Feb 1st 1999 – Feb 1st 2014) with a 15% discount off any new label quote or order between 1/29 – 3/31 and holding a drawing to win a new Kindle Fire HDX. Just stop by Booth #201 in the main building to get in on both offers. While you're there learn about all of the exciting new things we have to offer our customers this year such as a New Production Plant in Santa Rosa, In-House Label Design, a New Xeikon Digital Label Press, High Speed Defect Detection, plus lots more........we are making our 15th year bigger than ever just for you! After successfully servicing the California wine region and beyond for 14 years from its Livermore plant, Vintage 99 Label has completed the opening of it's second location in Santa Rosa, California, the epicenter of Northern California’s wine industry. The wine label industry’s well known and respected Gary Cane, is the director of Northern California operations of V99 North. “With the wine industry’s continuous growth in Sonoma and Mendocino counties, not to mention the well-established vineyards and wineries of the Napa Valley, Vintage 99 Label feels the need to offer clients the option for a more localized service in Northern California,” says Mr. Cane, who has been in the industry for over 30 years and is a local himself as a resident of Windsor. V99 North is a full service operation offering high quality print capabilities such as waterless offset, inline foil and emboss, deboss, and selective varnishing. But more importantly they will be expanding their capacity in Northern California. Additional print capabilities will be added in the near future. You are invited to the Vintage 99 Label Open House event on Thursday, December 5th featuring our new full-service label printing facility in Santa Rosa! We will be open all day to make it easy to drop by during the North Coast Wine Industry Expo, and will also be exhibiting at booth #815. Survey live press demos, preview our new 3D proofing system, and ask our knowledgeable staff on hand any questions about wine label production. Learn something new or save money on your next order with our special open house promotions. Grab a cup of coffee or cappuccino before heading to the 2013 North Coast Wine Industry Expo or join us for lunch or dinner by Forks Catering later in the day. Take a minute, or twenty to relax and indulge in a foot and neck massage by Infinite Massage to recover from a busy day at the Expo. Open from 8am to 7pm with drinks and coffee served all day. Lunch served from 12pm to 2pm Dinner and cocktails served from 5pm to 7pm. The open house is located at 3663 Regional Parkway and just 13 minutes from the Expo, or 2 minutes from the Hilton Garden Inn on Aviation Blvd. Admission by invitation or online RSVP only. High Quality Wine Label Producer Vintage 99 Label Announces Expansion to Sonoma County. After successfully servicing the California wine region and beyond for 14 years from its Livermore plant, Vintage 99 Label has revealed the details about their second location. Fittingly labeled as V99 North, Vintage 99’s second plant is in Santa Rosa, California, the epicenter of Northern California’s wine industry. The wine label industry’s well known and respected Gary Cane, will be the director of Northern California operations of V99 North. “With the wine industry’s continuous growth in Sonoma and Mendocino counties, not to mention the well-established vineyards and wineries of the Napa Valley, Vintage 99 Label feels the need to offer clients the option for a more localized service in Northern California,” says Mr. Cane, who has been in the industry for over 30 years and is a local himself as a resident of Windsor. Vintage 99 Label is excited to be able to offer its new and existing customers much quicker lead times than are commonly found within the wine label printing industry. Lead times of 5, 6 or even 8 weeks after proof approval are common within the wine label industry, especially this time of the season. However Vintage 99 Label promises delivery within 2 weeks of proof approval year round. "Our company is unique from our industry in that we focus on the bottling needs of each customer we serve and are willing to do what it takes to make their bottling dates. We do this by running a very flexible schedule based on delivery dates and by partnering with vendors that produce high quality label tooling and materials with very short manufacturing times" says Brian Lloyd, Customer Service Manager. "This change to the way traditional label printing and scheduling is done routinely amazes our customers that are used to being told that they need 4-6 weeks for their order". To learn more about Vintage 99 Label and to get a quote on your label order, contact Brian Lloyd at 707-775-7421. Vintage 99 Label of Livermore, CA is pleased to announce that Samantha Gomez has been hired to offer its clients expertise in label design and creative engineering of their projects. Samantha has worked in the design, print and packaging industry for 20 years and has an artistic eye for enhancing established designs and recommending customized yet affordable solutions to help brands increase their visual impact. Samantha joins the Vintage 99 team with a host of awards from the printing industry including the Visual Media Alliance's Grand Award for Most Intriguing Label Design and the IAPHC's Gold award for Best Label Design. According to Samantha, "I draw inspiration for design through listening to clients and experiencing their passion and vision for their brand". "Offering our clients expert design advice and creative engineering of their labels is just one of many no-cost advantages of partnering with Vintage 99 Label", says Customer Service Manager Brian Lloyd. "Clients can sometimes get caught between the worlds of label buying and label design and routinely welcome fresh ideas and suggestions, especially when an outside designer isn't involved in their project. We are very excited to offer our customers this creative service as a standard part of what we do each day". At Vintage 99 Label we understand that it takes more than an art file to make your vision a reality. You need a printer with extensive knowledge in print production, art preparation, and design to make your project a success. Our Design Liaison acts as your personal consultant to help guide and make recommendations so that all of the necessary production details are taken care of and to ensure that your vision is communicated back to our production team. Partner with the designer to understand the vision of the design and ensure that the finished product has the right look and feel. Visit us at the Unified Wine and Grape Symposium! Vintage 99 Label Mfg of Livermore Ca. is excited to be a part of the Unified Wine & Grape Symposium in Sacramento on Jan 30th & 31st. Stop by booth #201 to see what’s new in wine label design, water/chill proof papers, virtual 3D label proofing, and more. Exclusive 15% discount for new label orders. Vintage 99 hopes to see you at the North Coast Wine Industry Expo! Vintage 99 Label Mfg of Livermore Ca. is excited to be a part of the North Coast Wine Industry Expo on December 5th in Santa Rosa. Stop by booth #80 to see what’s new in wine label design, water/chill proof papers, virtual 3D label proofing, and more. Exclusive 15% discount for new label orders. Visit www.vintage99.com for more information or contact Brian Lloyd at 707-775-7421. V99 Partnered with Green Flash Recycling! Vintage 99 Label Mfg. Inc. is proud to announce that we have partnered with Green Flash Recycling to handle all of our recyclable materials. Before Green Flash we recycled as much waste as possible, but had no practical means to recycle label waste materials. Now we recycle almost 100% of our waste thanks to Green Flash. As a certified green business Vintage 99 Label is committed to environmental sustainability and is continually looking for ways to help others in the business community to be environmentally responsible. We encourage you to look into using Green Flash Recycling to help your business save money and preserve the environment. Their slogan “We make it easy to be Green” says it all. Based in the San Francisco Bay Area, Green Flash Recycling, LLC was born in 2008 out of the founding partners' combined desire to develop a business that would not only become part of the solution to the question of environmental sustainability, but would also serve as a resource to help businesses reduce their carbon footprint while cutting expenses at the same time. At Green Flash Recycling, LLC, the strength of our commitment to environmental sustainability is matched only by our passion for serving the diverse needs of our clients and helping them achieve maximum efficiency in their various business models. Labelstock should be stored in its original packaging and away from strong light, at a temperature of 15 to 25 °C and a relative humidity of 50 to 55%. Printed labels should be used within 2 years of the labelstock’s date of manufacture for the adhesive to maintain the best possible properties for labeling. Under optimal conditions, bottles would beTroubleshooterwashed and dried before labelling, their temperature above 15 °C and the relative humidity below 55%. However, these conditions are not often met, which is why UPM Raflatac has developed RP 30 and RP 40 for labelling on cold and moist surfaces. Tests are highly recommended for all applications. All our wine adhesives need time to bond onto the bottle. If bottles are packaged horizontally immediately after the labelling process, optimal bonding between adhesive and glass won’t be achieved. It’s also important to note that when bottles from upper rows press heavily against bottles on lower rows, the labels can still move on the glass and this can lead to creasing. 24 hours should be allowed after the labelling process before optimal bonding is achieved. Tack: The feeling of stickiness when the surface of an adhesive is touched or when a label is applied to a surface and then quickly pulled away. Adhesion: The state in which two surfaces are held together by chemical or physical force, or both, with the aid of an adhesive. • High-speed release – the force required to remove the label from its liner and also the liner from the label. • Low-speed release – the force required to separate the laminate construction at an angle of 180 degrees at a speed of 300 mm per minute. Shear: A method of separating adhesive-bonded materials by forcing the interfaces to slide over each other. Is it time to change the way your labels are printed? What are the in’s and out’s of printing Digitally? Stop by and ask one of our team members for an analysis of your labels. As an existing Vintage 99 customer, we have an exciting new opportunity for 2012 that will reduce your companies label costs. Simply ask one of our team members for details. Is it time to redesign your label? Let us show you how our in-house design team can create or update your label with a fresh new look at a fraction of the typical cost. Vintage 99 Label receives 3 Awards from the IAPHC! Vintage 99 Label was presented with 3 Awards (2 Gold, 1 Silver) from the IAPHC for Superb Craftsmenship in Production for 3 labels we produced! For more info read below. 36th International Gallery reaffirms PRINT ! Print is a Powerful Partner in the Media Mixology ! Minneapolis, MN USA, November 22, 2010. The 36th International Gallery of Excellence presented a creative cavalcade of truly dazzling entries from around the globe to its International jurors over several weekends in October and November, 2010 at Minneapolis, Minnesota USA. The competition is produced annually by the IAPHC, The Graphic Professionals Resource Network in support of the IAPHC’s mission-mandate to Educate, Promote, Inform and Connect (EPIC) its thousands of individual members and the global graphic community. Vintage 99 Label offers three printing methods which are all quality controlled from our Livermore and Santa Rosa, CA facilities including Flexo, Digital Offset, and Waterless Offset. Please contact us at 925-294-5270 or email info@vintage99.com for a no obligation label quote. You may also want to refer to our Label Quote and Order Checklist below when requesting a quote which helps outline the information needed. We are at a time when companies need to lead our communities in the direction of sustainable practices. the program over two years, offsetting over 3,000,000 pounds of greenhouse gas emissions. greenhouse gases formed by VOC's and wasteful water consumption as with traditional offset printing. prior to production, eliminating travel to/from our plant for press checks. Catering to the wine industry, our plant is strategically located between California's three largest wine regions. driving while using hybrid vehicles. almost indefinitely. Any leftover waste after recycling is used as bio-fuel additives and for electrical generation. within our community given this coveted distinction. Our flexo screening is a cutting edge technique that alllows for high quality color control at an affordable price for medium to large sized runs. Flexo Advantage . . . In 1999 we raised the bar in flexo print quality. As a poineer of producing high quality flexo wine labels that were tradtionally printed offset. We continue our legacy by investing in the future of this printing technology by bringing in the most advanced flexo plate system in house. Our Kodak NX plates with Digicap screening allows us to print finer dots, higher line screens with more detail and denser solids. The print quality with our new plate system is truly remarkable. Offset provides superior results with flawless detail, smooth blends and fine tints, which produces vibrant colors with a dot pattern almost invisible to the naked eye. Waterless Offset Advantage . . . Taking a high quaity print method such as offset and making it better is something we at Vintage 99 can appreciate. Waterless offset raises the bar by printing even finer dots while eliminating the environmental problems of traditional offset. Taking these improvements one step further with the latest Digial Plate Imaging makes high line screens not only achievable but repeatable run after run. Superior print results with waterless offset print qualityfor short to medium sized runs, generally fewer than50,000 labels. Wine labels are a unique art form, often what distinguishes a wine label are the finishing effects.